Among other challenges in Risk of Rain 2, the Demon and the Crabs challenge is perhaps one of the most entertaining. As opposed to collecting a certain number of items or reaching a specific level without dying, this challenge requires players to "Kill 20 hermit crabs by chasing them off the edge of the map." Assuming players can coerce these creatures to drop straight into the afterlife, they'll be able to earn the rare and powerful Gesture of the Drowned Lunar item. 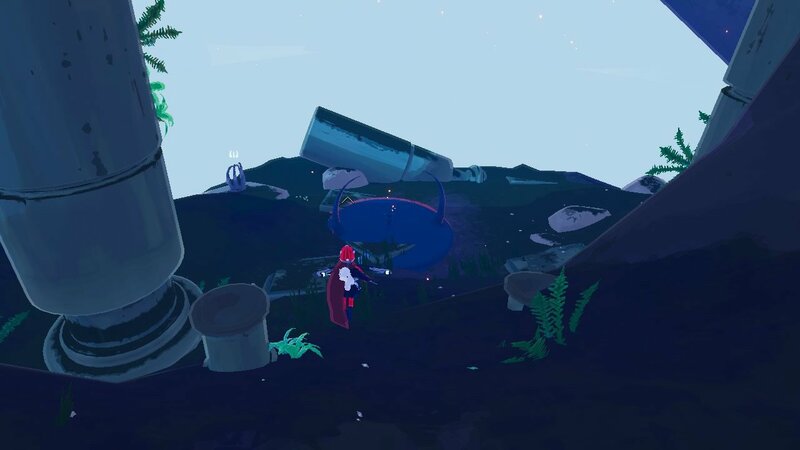 As the instructions indicate, Risk of Rain 2 players need to chase 20 hermit crabs off the edge of the map to complete the Demon and the Crabs challenge. It's not a very difficult task to accomplish, especially considering that the challenge can be completed across multiple runs. The logbook details the Demon and the Crabs challenge. Despite the simple nature of the challenge, a lot of players seem to be getting hung up on which creatures the hermit crabs actually are. Generally encountered toward the more difficult end of the spectrum, these enemies tend to burrow themselves into the ground before lobbing mortar-like projectiles at the hero. They'll only uproot themselves when the player draws near, but when they do, they'll make a mad dash to get away, usually in the direction exactly opposite the survivor. Take that opportunity to scare them off the map's edge. The Gesture of the Drowned is one of five current Lunar items players can use to complete the Moon Worshipper challenge. If players manage to get 20 hermit crabs to scurry off the map toward their deaths, they'll unlock the rare and powerful item known as Gesture of the Drowned. One of five Lunar items in the current build of the game, this item reduces all Equipment cooldown by 50 percent and increases the buff by 50 percent per stack. However, the Gesture of the Drowned also forces the survivor's equipment to activate automatically the moment its cooldown period ends. Go ahead, have some fun: Chase 20 hermit crabs off the edge of the map to complete the Demon and the Crabs challenge in Risk of Rain 2. As a reward, players will unlock the powerful and potentially dangerous Gesture of the Damned Lunar item. Stay fresh on other in-game items and challenges by heading over to Shacknews' Risk of Rain 2 home page.